This colorful children's book was written by a mother and her 6 year old daughter. 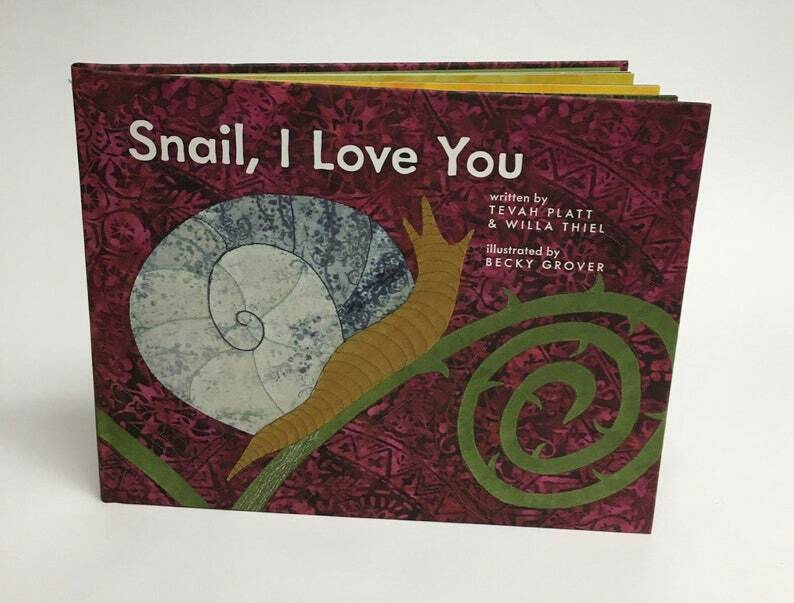 It started with unique sayings such as 'I love you as curly as a snail'. Next, the mother wrote beautiful poems around those sayings. 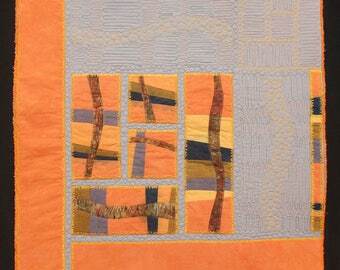 Then, I illustrated them with 12 art quilts. This is an 'I love you' book, perfect for Valentines, birthday's, and any special event. Our local library helped us get all the files ready, and we hired a local printer to print our books. The book is 32 pages, and includes a dust jacket. This is exactly as I anticipated! Quick shipping and great quality! I bought this for my mom and she loves it! She really appreciated getting two versions of the applique, and she was surprised at how quickly it arrived. Wonderful seller! Beautiful piece of art. Shipped fast. Really fine quality. Thank you very much for the beautiful quilt. Great design, colors, and amazing quality. It really is an incredible work of art and we are so happy. Thanks again.